Pay Less. Deal Direct With Local - Professional - Painters! If you are looking for painters for a new house, renovations or extension to your home, then give us a call. We are called ‘excellent’ because we are professional, experienced painters that will make your home look no less than excellent! First impressions last, so if your business needs to be refreshed to maintain your company’s first-class image then we are the painters for the job. When our work is complete your customers will be left with no doubt that you have a professional business. We have many years experience to know the difference between good and excellent painting. We only hire the best of the best that have had many years experience and a proven track record of quality work. You will not be disappointed with the quality of our professional painters. If you want to get more information about painting and decoration please check this Wiki click here. A new coat of paint is one of the final stages in making a new home or renovation look fantastic. 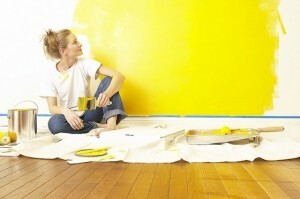 Paint can also completely refresh the look and feel of an existing room or home. Having some idea about colour is a necessity as the right colour choice can look sensational but the incorrect colour choice can adversely affect the area. Things to consider are the purpose of the room. A perfect example is a nursery would require soft, pastel colours to create a calm environment for baby to sleep. Bright vibrant or dark colours maybe used for an entertainment area and neutrals for a family room. There are a myriad of colour combinations for each area so it is a great idea to create a mood board with all the colours and coverings in the room (curtains & flooring) to ensure that your colour palette is going to be a success. This is part of the preparation and we can’t stress enough how important preparation is. But paint isn’t just a decorative touch, it also provides a means to protect and maintain the quality and value of a property. There is no denying that paint is a necessity for any property and like anything there are levels of quality. The general misconception is that painting is easy. To a certain extent this may be true and in most cases painting is only “made easier” when the area to be painted has had very extensive and well-planned preparation. Correct preparation includes the knowledge of repairing damaged areas, sanding, protecting surrounding areas, cleaning and safety. Each of these stages requires an understanding of what products and tools are required for each unique surface to be painted. Some of the most common DIY jobs where Excellent Painters Brisbane are “called to the rescue” are due to incorrect preparation, cheap equipment or incorrect materials. Even if the owner may have taken a lot of time for preparation, using the incorrect brush or paint will result in a poor final finish. Lets discuss paint first. Paint is made up of pigment, resin and solvent. Pigment is a solid but as it is ground to fine powder it mixes with the resin to create a colour. Resin and pigment have the consistency of honey so a solvent is needed. This is were the price of paints vary as expensive paints will have the finest grade of pigment and less solvent, giving the paint an even colour and a consistency that provides perfect coverage with only one coat. Cheaper paints may require two or even three coasts to achieve the same result and may have a courser pigment, which will result in a colour that may not be even. Incorrect or cheap brushes are another very common error that we see. 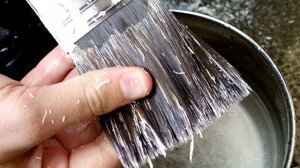 Specific brushes are required for the surface and paint. Brushes are either natural (animal hair) or synthetic. 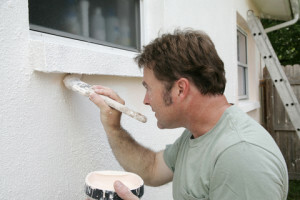 If buying a less expensive, water based paint a natural brush will soak up the solvent and make holding and spreading the paint more difficult. Brush bristle ends can either have flagged or tipped ends. Flagged bristles have a split ends and can spread paint more efficiently where tipped bristles come to a point and would be used on a brush where detailed work is required, such as a sash brush. When you start to add up all the costs the next factor is time. Not having the correct project management process will result in a ‘stop-start’ workflow, which in turn will cost time. Most paint jobs have a time frame for completion so for time efficiency correct planning is vital. Brisbane’s Excellent Painters is a family run business. What does this mean to you? It means we are not just employees, the business is our life so we care about the quality of work and ensuring our customers are happy. We don’t cut corners. Underneath the flawless finish will be a very well prepared surface that will ensure that the paint will last for the maximum time before any reapplication is needed. We have accumulated a lot of experience over the years and are able to delivery high quality work for any large or small paint job, new homes, renovations, home extensions, interiors and exteriors and of course DIY repairs. Contact us Today to discuss your next painting job, we service all Brisbane suburbs.